Enjoy all the flavors of spring with this delicious and healthy lemon blueberry loaf cake! Perfect for breakfast, a protein-rich snack or a healthy dessert, it’s a cross between a bundt cake and pound cake! Tender on the outside, fluffy on the inside, loaded with blueberries and a hint of lemon, it is the BEST recipe to kickstart the warmer weather! Topped with a thick layer of dairy free cream cheese frosting, it will be your new favorite. I mean, after this blueberry cake, lemon poppy seed cake and flourless carrot cake. Many lemon blueberry cake recipes call for yogurt or sour cream to provide moisture and flavor, but we use neither of those. 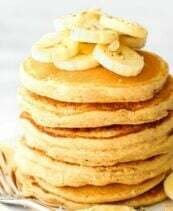 Instead, the combination of coconut flour, almond flour, and unsweetened applesauce provides the fluffy, moist texture. 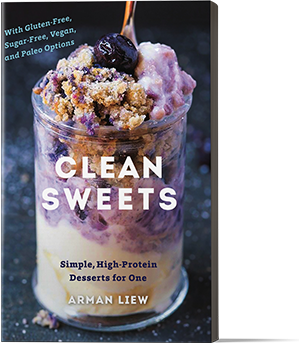 While the original base recipe contains eggs, it comes with an option for my vegan readers- One that is flourless, eggless and 100% dairy free! 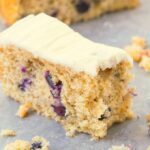 What I love about this lemon blueberry cake is that it is secretly low carb, paleo, and keto friendly. 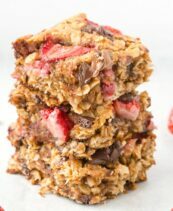 For me personally, it means that I can enjoy this cake for breakfast, without worrying about any sugar crashes! I mean, it’s completely sugar free! It’s also vegan and gluten-free, especially if you opt for the flourless option. Even the cream cheese frosting used is dairy free, and really takes the cake up a notch! Step 1: Preheat the oven to 180C/350F. Line an 8 x 8-inch loaf pan with parchment paper. Set aside. Step 2: In a large mixing bowl, combine your coconut flour, almond flour, baking soda, and cinnamon and mix well. Step 3: In a seperate smaller bowl, combine your melted coconut oil, applesauce, eggs, keto maple syrup, and lemon juice and mix well. Step 4: Combine your dry ingredients with your wet ingredients and mix until combined. Fold in your blueberries using a rubber spatula. Step 5: Transfer your cake batter into the lined pan. Bake for 40-50 minutes (mine took 42 minutes), or until a toothpick comes out clean. Step 6: Cool your cake in the pan for at least 20 minutes, before carefully transferring to a wire rack to cool completely. Step 7: Once cool, top with your easy dairy free cream cheese frosting and refrigerate until the frosting has firmed up. This blueberry lemon cake tastes great on its own, but tastes even better with this fool-proof frosting recipe! It’s completely dairy-free, but if you can tolerate dairy, feel free to use standard cream cheese. In a small mixing bowl, combine your softened cream cheese with your syrup and cinnamon and mix well. Carefully spread on top of your cake, before quickly refrigerating it, until it has firmed up. This cream cheese frosting is enough for a thin layer on top of the cake. For a thicker layer, feel free to double the amount. Blueberry Lemon Cake needs to be stored in the fridge, as it will spoil at room temperature. Keep cake in a sealed container or covered in plastic wrap. Storing the cake this way will ensure the cake will keep for at least 5 days. Lemon Blueberry Cake is freezer friendly and storing it in the freezer will keep for 2 months. To enjoy cake from the freezer, allow thawing at room temperature. To avoid blueberries from sinking to the bottom of the cake, lightly toss your blueberries in some flour (cassava or almond are great). 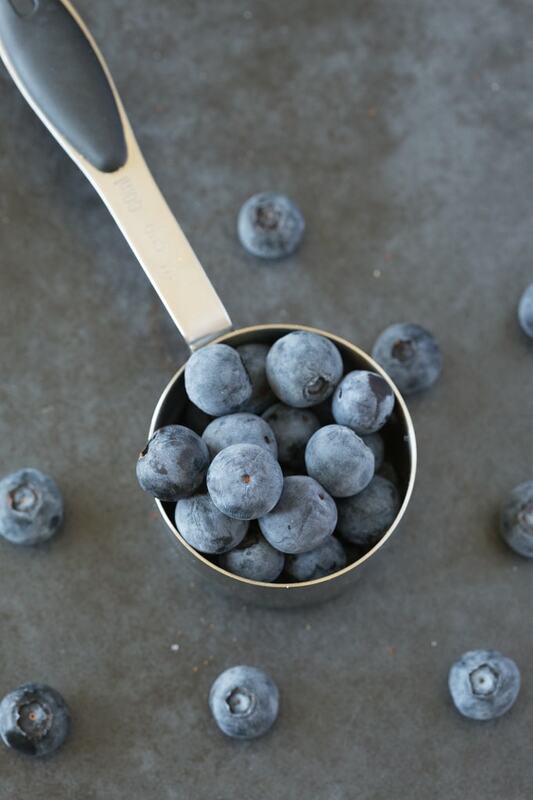 Try to use fresh blueberries as opposed to frozen ones, as they will ensure the cake is evenly cooked. If you can only use frozen ones, thaw at room temperature and soak up excess juices/water with a paper towel. Use lemon extract for a more pronounced lemon flavor. Fresh is fine, but I found that it really got lost in the batter. The oven makes and model can affect the bake time of the cake. Mine took 42 minutes, but it can take up to 50 minutes. Check up around the 40-minute mark, then 2-minute increments. 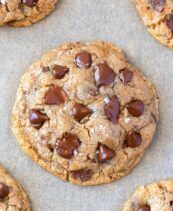 In the flourless and vegan version, you can sub out the almond butter for another nut or seed butter of choice. Sunflower seed butter and tahini are great, as is smooth peanut butter. If you don’t follow a strict ketogenic diet, you can substitute the keto maple syrup for another sticky sweetener. Pure maple syrup and agave syrup are great. 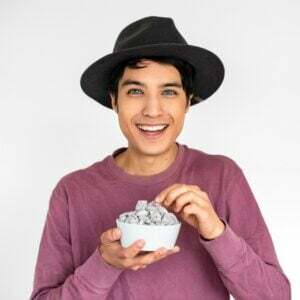 Raw honey works too, but will no longer be vegan-friendly. 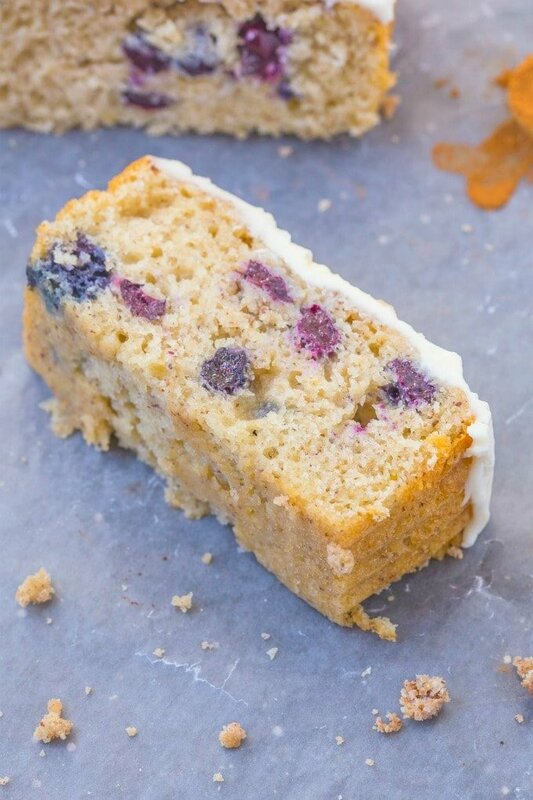 The best healthy lemon and blueberry loaf cake recipe, made with almond flour, coconut flour and loaded with blueberries! Tender on the outside, moist on the inside and with an eggless and vegan option! 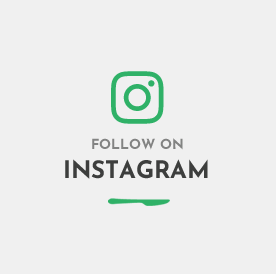 Keto, Paleo, Gluten-Free, Low Carb, Dairy Free. Preheat the oven to 180/350F. Line an 8 x 8-inch loaf pan with parchment paper and set aside. In a large mixing bowl, combine your dry ingredients and mix well. In a seperate bowl, add your wet ingredients and mix until combined. Combine your wet and dry ingredients and mix until combined. Fold through your blueberries and transfer the cake batter to the lined pan. Bake for 40-50 minutes, or until a toothpick comes out clean. Allow cake to cool in the pan for 20 minutes, before transferring to a wire rack to cool completely. Once cool, top with frosting. Combine all your ingredients in a high-speed blender or food processor and blend until combined. Follow the instructions as above. * Start with 1 teaspoon. For a more pronounced flavor, add a little extra. 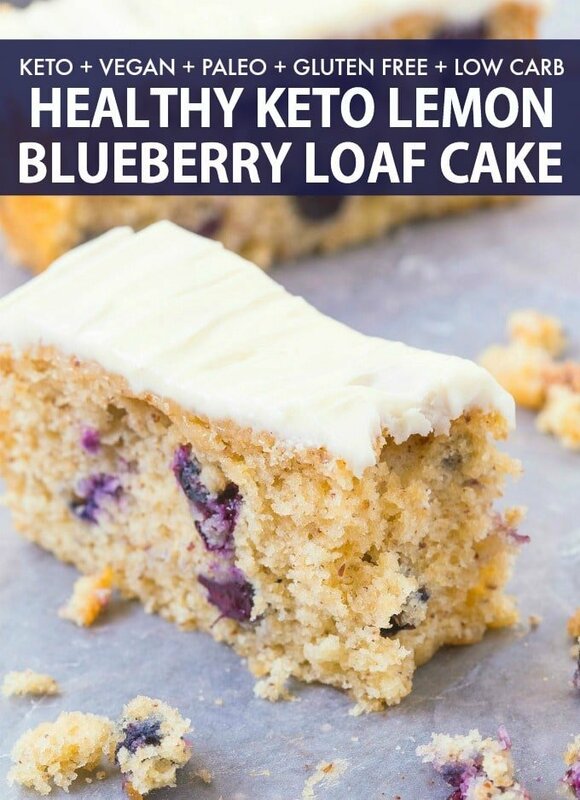 Healthy Lemon Blueberry Loaf Cake (Keto, Vegan, Paleo) should be stored in the fridge and will keep for 5 days. 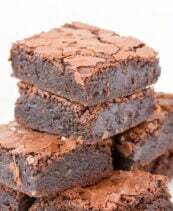 Cake is freezer friendly and will keep well frozen for up to 2 months. What can I sub the applesauce with?